Arkansas OL Frank Ragnow had a great offseason and did everything he needed to do to work his way into the first round of the 2018 NFL Draft, where he was chosen with the No. 20 overall pick by the Detroit Lions. He didn’t allow a sack his entire college career, living up to expectations set for him by his former coach, Bret Bielema. Ragnow’s father sent him that text message with the tweet back in 2015, but sadly passed away from a heart attack in 2016, so this message means all that much more to the former Razorback. 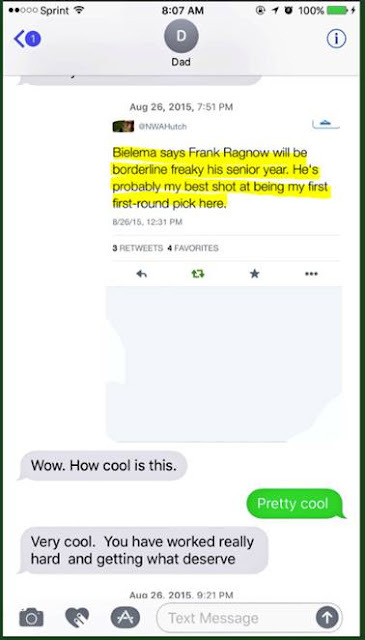 Though Ragnow going in the first round may have caught some by surprise, Jon Ragnow and Bret Bielema knew this day was coming all the way back in 2015. James Daniels (left) is searching for NFL success. Marshal Yanda (right) already has it. They both have Kirk Ferentz to thank. IOWA CITY, Iowa — During an NFL combine interview, a pro scout asked James Daniels to draw a formation. He quickly started sketching out ’21’ personnel. He put two wide receivers, one tight end and a tailback on the field. When he added the fullback the scout spoke up. He never saw a player do that before and thought it was cool. The reaction didn’t surprise Daniels. Iowa is old school, relying on a pro-formation, zone-blocking scheme led by a former NFL offensive line coach in Kirk Ferentz. It’s the antithesis of the spread revolution which has overtaken the sport, as Daniels’ story demonstrates. It’s the ideal breeding ground for future NFL offensive linemen. Sixteen Iowa offensive linemen heard their name called at the draft since Ferentz took over in 1999. Four potential draftees are part of the 2018 NFL Draft, which starts April 26. Between Ferentz’s reputation and Iowa’s ability to churn out technically proficient linemen, how much does it help a player come draft day to play for Iowa? In November, Daniels was just a 20-year-old college center. He wasn’t on the radar of 2018 draft analysts. Fast forward to January when he declared for the NFL draft. The surprising move made sense once Ferentz broke down Daniels’ game. “Just I don’t know if I’ve ever coached a more talented center prospect,” Ferentz said. “That includes my time in the NFL. Ferentz doesn’t hand out praise, especially about offensive linemen, lightly. It was an indication Daniels is likely an early-round draft pick. Ferentz played high school football for and learned the craft from Joe Moore, an offensive line coach legend. Ferentz coached the offensive line at Pittsburgh and Iowa in the 1980s, where 11 of his players were NFL draft picks, including three in the first round. He spent 1993-98 seasons coaching offensive line in the NFL for Cleveland and Baltimore before becoming the coach at Iowa, where he put an emphasis on the offensive line and running the ball, in 1999. 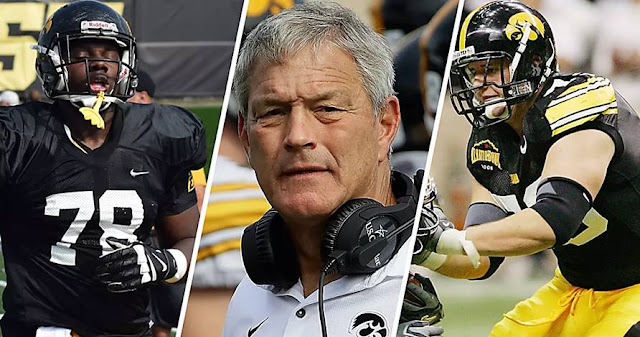 Some NFL executives, coaches and scouts consider Ferentz one of the brightest minds when it comes to coaching and developing offensive line talent, especially for zone blocking. The results back it up. Offensive linemen make up 25.4 percent of Iowa’s draft picks since 2000. Only two programs have sent more offensive linemen to the NFL in that span than the Hawkeyes. NFL general managers and scouts like Iowa because they know what they’re getting in a player. Every player arrives with the basic skills. Iowa linemen tend to be smaller and more athletic. As a whole, they are technically sound. It’s a simple thing, but it goes a long way with NFL coaches and talent evaluators. Shonka points out a football player takes a big step toward a lengthy pro career by mastering technique. For an offensive lineman, that requires an understanding of hand, head and foot placement. Every Iowa practice focuses on those basic, yet vital, parts of line play. No one prospect in this draft class better exemplifies the prototypical Iowa traits than Daniels. Strong game film and an impressive combine performance make Daniels a possible first-round pick. 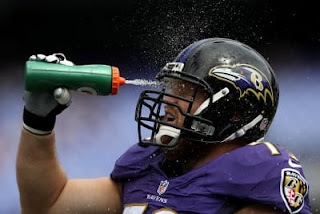 Iowa’s most successful NFL offensive lineman under Ferentz is six-time pro bowler Marshal Yanda, a former third-round pick. His time at Iowa helped him become one of the best guards in the NFL. It’s a point he’s quick to share with Iowa recruiting targets. Guard Brandon Scherff made the Pro Bowl the last two seasons and offensive tackles Riley Reiff and Bryan Bulaga have started for a combined 13 seasons since 2010. Not every Iowa prospect turns into an NFL star. Strength at the point of attack is often a concern. It certainly was for Reiff when he entered the league in 2012. 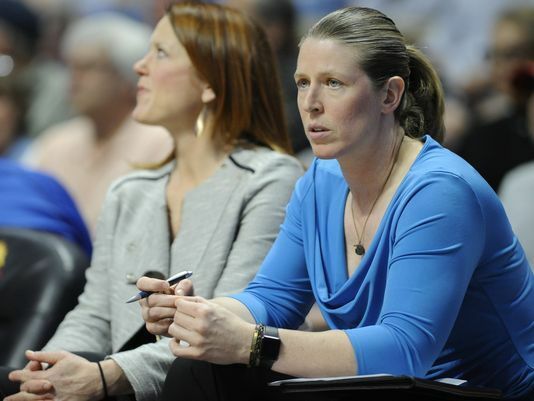 But Shonka believes strength isn’t as big an issue for teams now as it was in the past. With spread offenses prevalent in college football, it’s becoming harder for pro teams to develop offensive line talent. Linemen in spread offenses start in two-point stances and spend more time screening off defenders instead of moving them off the line than pro teams do. Players from pro-style teams such as Iowa can become more enticing to a general manager because there is less concern about their adjustment to the NFL. “The limited time that pro coaches have to work with the guys because of the collective bargaining agreement, especially if you are a zone-blocking team, the more experience a guy has in pro zone-blocking techniques the better off you are,” Shonka said. NFL front office executives and scouts let players know they value how Iowa develops players. But they don’t do it in a direct manner. No one comes out and says it, but guard Sean Welsh heard more times than he can count about being a hard worker or his strong fundamentals during the draft evaluation process. 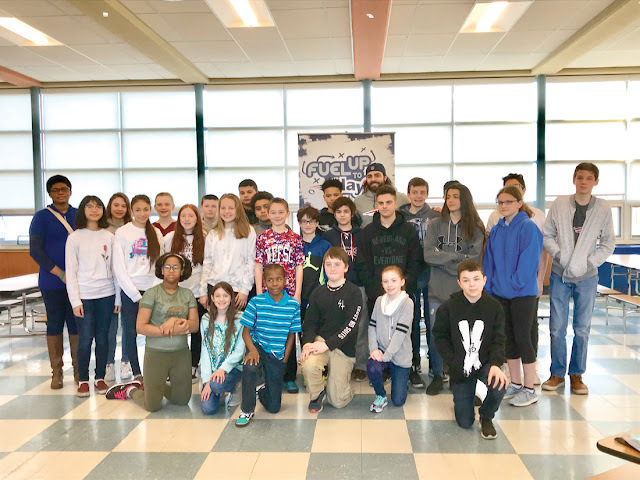 “Just a lot of intangible compliments,” Welsh said. The biggest compliment for the players — and the program — comes on draft day. “Guys get drafted even later in the draft just because they are knowledgeable in the techniques and things and they get put on practice squads and can develop,” Shonka said. Center Austin Blythe followed that path. Indianapolis selected him in the seventh round in 2016. 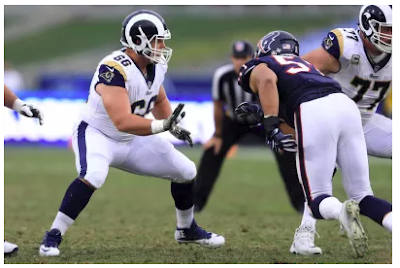 He is entering his third season and carved out a role as a reserve with the Los Angeles Rams. New England signed tackle Cole Croston as a rookie free agent in 2017. Croston worked his way onto the 53-man roster for the AFC champion in his first pro season. Tackles Ike Boettger and Boone Myers would love to replicate Blythe’s or Croston’s career. Each saw their senior year cut short by injury. Each is a fringe draft prospect. Having a lineman selected who missed most of his senior season because of injury would speak volumes about how much value the NFL places on Iowa prospects. Welsh is a mid-to-late round prospect. A disappointing NFL combine hurt his draft stock, but his versatility is a bonus. Shonka believes some teams could see him at center. Daniels is the most sought after of the bunch. He knows Iowa helped prepare him for his pro future and it extends beyond having Ferentz as a coach. That, and because the players still know what a fullback is. Guard Brandon Scherff has been a mainstay in Washington's starting lineup since entering the league as a first-round pick in the 2015 NFL Draft. He has been named to two Pro Bowls. The Washington Redskins announced on Monday that they have exercised the fifth-year option on Pro Bowl guard Brandon Scherff, officially keeping him with the team for the 2019 season. Scherff, 26, first joined the Redskins after being selected with the No. 5-overall pick in the 2015 NFL Draft. While he began his time in Washington at right tackle, he transitioned to right guard where he’s started all 46 of his appearances through three seasons. During his rookie season, Scherff appeared in all 16 regular season games along with the Redskins’ playoff game against the Green Bay Packers. The Iowa product played all but one offensive snap during the regular season, exiting the field momentarily after losing his shoe. Scherff became only the third rookie offensive lineman to start all 16 games for the Redskins, joining Jon Jansen (1999) and Chris Samuels (2000). For his efforts, Scherff was also named to PFWA’s All-Rookie Team. During the 2016 season, Scherff joined Samuels (2000-01) and Jansen (1999-2000) as the only Redskins offensive linemen to open their careers by starting 16 games in each of their first two NFL seasons. He was also named to his first Pro Bowl, as the 6-foot-5, 319 pounder was part of an offensive line that led Washington to team records in in total net yards (6,545), net passing yards (4,758) and yards per play (6.40) while allowing only 23 sacks, fourth-fewest in the NFL. Despite missing two games during the 2017 season, Scherff earned his second consecutive selection to the Pro Bowl. With his back-to-back Pro Bowl nods, Scherff became the first interior offensive lineman for the Redskins to be named to consecutive Pro Bowls since Pro Football Hall of Famer Russ Grimm was selected four straight years from 1983-86. 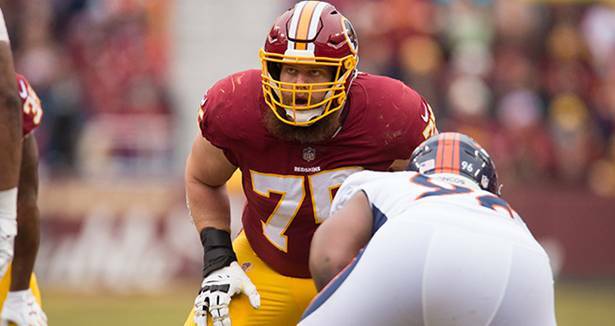 Additionally, Scherff joined Samuels and Jansen as the only offensive linemen since the 1970 AFL-NFL merger to start at least 14 games for Washington in each of their first three NFL seasons. Prior to his time with the Redskins, Scherff appeared in 43 games with 36 starts. During his senior season in 2014, Scherff was received the Outland Trophy, which is awarded annually to the nation’s most outstanding interior lineman. He also earned unanimous consensus All-American honors and was named first-team All-Big Ten for the second consecutive season.